Krungsri Finnovate, a subsidiary of Krungsri (Bank of Ayudhya) and member of the Mitsubishi UFJ Financial Group (MUFG), announced today the completion of a Series B plus round into Omise, Thailand’s most successful online payments startup. With Omise’s expertise in online payment and blockchain technology, Krungsri plans to adopt the technology to support its online payment services for greater customer experience. “With Omise’s expertise in online payment and blockchain technology (OmiseGO), Krungsri will accelerate the adoption of the online payment technology. As part of a long term plan, OmiseGO, a blockchain-based financial technology focusing on digital, real-time value transfers and payments, could potentially support the development of our digital products and services such as KMA, Di-wallet, and U-Choose,” Sam added. The completion of this deal brings together a strong strategic fit, enhancing each party’s respective strengths to support the growth of financial-technology innovations and the adoption of services across Southeast Asia. By leveraging Krungsri’s strong foothold in Thailand and MUFG’s global capabilities and connections in more than 50 countries across the world, this synergy represents another solid step in Omise’s journey to build on its foundation of payment services and underpin their base not only in Thailand, but also in other countries across the region. With this partnership, Omise will be able to help boost Krungsri’s payment business in Thailand by providing efficient end-to-end payment solutions and features, which encourage a better checkout performance and promote seamless commerce experiences. Following its Series B round in 2016, this year Omise secured another USD25M through an ICO for its blockchain subsidiary, OmiseGO. Omise’s desire to pioneer practical tech innovation lead to the establishment of OmiseGO which is tasked at building the OmiseGO network, an Ethereum-based public blockchain that aims to enable financial service equity by radically decentralizing value transfer and exchange. Krungsri (Bank of Ayudhya PCL and its business units) is the fifth largest financial group in Thailand in terms of assets, loans, and deposits with 72 years of history in the country. Krungsri is a strategic member of the Mitsubishi UFJ Financial Group (MUFG), Japan’s largest financial group and one of the world’s largest financial organizations. Krungsri provides a comprehensive range of banking, consumer finance, investment, asset management, and other financial products and services to individual consumers, SMEs, and large corporations through 695 branches (658 Banking Branches and 37 Auto Business Branches) and over 31,000 service outlets nationwide. The Krungsri Group is the largest card issuer in Thailand with 8.1 million credit cards, sales finance, and personal loan accounts in its portfolio; a major automobile financing service provider (Krungsri Auto); one of the fastest growing asset management companies (Krungsri Asset Management); and a pioneer in microfinance (Ngern Tid Lor). Krungsri is strongly committed to the highest level of integrity in conducting its business. All Krungsri Group companies have been awarded accreditation from the Private Sector Collective Action Coalition Against Corruption (CAC) in collaboration with industry peers and stakeholders on a zero tolerance approach to corruption. 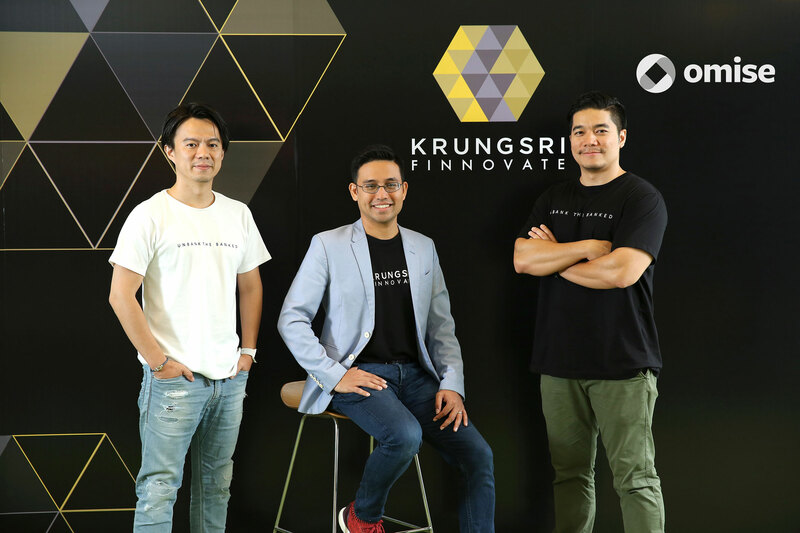 Krungsri Finnovate allocates USD 30 million Fintech-focused for Venture Capital Investment in Start-up. We are focusing in growth start-up, Series A or later stage. Start-up that has commercial activity with Krungsri Bank through Krungsri Rise or Start-up Project Management are highly preferred. Krungsri Finnovate aims to be fully Strategic Investor who helps start-up grow to reach its goal through our support and synergy from our Bank's valuable asset.